Here are a set of darts that belonged to my dads father. He worked in an Iron Foundry for long hours every day for not much money in very hot conditions. The relief that he got from the job was to relax at lunch times playing darts before starting another gruelling afternoons work. 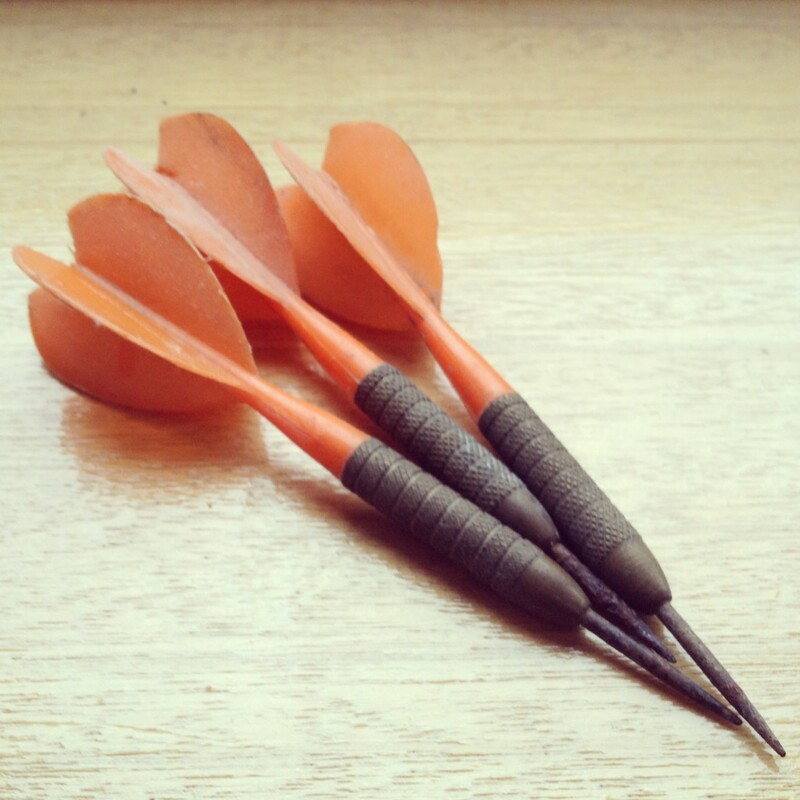 These darts mean a lot to my Dad because when he was a child, he used to come home and tell him the stories of the darts matches. I asked my dad and he said he was reluctant to give them up as, apart from a book, it’s the only object he has of him. My dad received these darts 48 years ago when his dad passed away. As time has gone by he has come to terms with it and would be willing to give them up.